Disciplining young children is about helping them learn, grow and better themselves. This is often forgotten in the heat of the moment, but it is this emphasis on teaching children that differentiates discipline from simple punishment. Before disciplining a young child, parents should make sure that the child needs instruction. For children to learn from discipline, parents must then make sure that whatever discipline technique they use teaches a lesson and is implemented immediately. Many young children act inappropriately without knowing it. This is sometimes hard for adults to believe, but young children can become very caught up in the moment and their behaviour often reflects this. Before disciplining young children, parents should make sure that the children are aware of rules that have been broken, are aware of parents’ prompts regarding these rules (for example, could loud music be covering a parents requests to turn it off?) and are not acting out due to a previous or unresolved incident. Ignoring a behaviour. 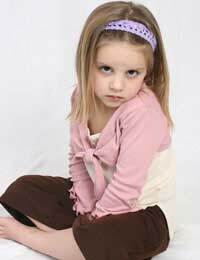 Often children act out simply to get attention, and denying this attention teaches them that they are not behaving appropriately. Changing the activity. When children become so involved in one activity that they lose sight of household guidelines, changing the activity can act as a clean slate for them to start over. Talking to the child. Often explaining a guideline to a child (for example, “Do not put your hands on the oven because it is hot and will burn you.”) helps them understand rules and why they should be followed. Time Out. Taking the child away from an activity or situation for a few minutes allows them to understand that they were not behaving correctly and encourages them to calm down. The Naughty Step/Rug. Again, leading children away from an activity and having them stay in a particular location can help them calm down and see that they were not acting appropriately. Regardless of the methods or techniques that a parent uses to discipline a young child, all discipline has a basis in a lesson. For example, a child who gets in trouble for throwing books should be disciplined in a way that relates to this behaviour. Taking away the child’s dessert that evening is not connected, and simply teaches him/her that when (s)he breaks a rule, Mum or Dad will take away something that (s)he likes. Instead, having the child tidy the bookshelves will teach him/her how to appropriately care for books. Parents who wait to discipline a child risk the child losing the lesson because of a time lag. Parents may choose to wait to discipline a child for many reasons, including for a partner to be present or to wait until the family gets home, but in the hours between the behaviour and the discipline children will become interested in many other activities. This may result in the child acting more appropriately and the parent deciding against disciplining the child – which teaches the child that as long as they act sweetly later they can behave as they like – or it may result in the child continuing to act inappropriately and then becoming confused as to what exactly (s)he is being disciplined for. To avoid these scenarios, parents should endeavour to discipline a child as soon as possible following an inappropriate action, and make it clear to the child how and why they are being disciplined. Disciplining young children is a way of teaching them. Discipline is distinct from punishment, and should always be justified, teach a lesson and be applied immediately. If used correctly, discipline will help to raise happy, healthy and responsible children.